WARNING! - Preterism Exposed as FALSE TEACHING! But even during the controversies after the destruction of Jerusalem, the Hebrew Christians continued to live in the midst of other Jews. . . . The rift caused by the desertion of Jerusalem proved to be a temporary one, and a partial reconciliation did come about despite Hebrew Christian opposition to the new Judaism of the rabbis." Dr. Fruchtenbaum goes on to note that the kind of rift that Dr. Gentry contends does not really start taking place until the a.d. 90s, with the real break coming as a result of the Hebrew Christian non-support of the Bar Cochba revolt around a.d. 135. We will not, however, incur the risk of pronouncing positively as to the name of Antichrist; for if it were necessary that his name should be distinctly revealed in this present time, it would have been announced by him who beheld the apocalyptic vision. For that was seen not very long time since, but almost in our day, towards the end of Domitian's reign. This is why a majority of scholars date Revelation around a.d. 95. Dr. Gentry dismisses the clear statement from Irenaeus through a complicated web of sophistry that fails in his attempt to explain away this testimony. He suggests that it was John who was seen, rather than John who saw the revelation. If such were the case, it seems odd that Eusebius, who was a theological opponent of Irenaeus in the area of Bible prophecy, clearly thought that it was John who saw the apocalyptic vision. So desperate is Dr. Gentry's attempt to suppress Irenaeus' clear statement that one scholar observes: "Despite the lack of any extant textual evidence, Gentry argues that the Latin text has been corrupted and was originally constructed so that John would have been understood as the subject of the verb." Since a preterist interpretation of Revelation requires an early date of the final book in the Bible, preterists go to great lengths in their attempts to make their view appear viable. For those of us who are futurists, the date of Revelation does not affect our interpretation of the book. The Domitianic date is the overwhelmingly accepted view of scholarship in our day. The only exception, as a class of interpreters, to the late date advocates are preterists. It is not surprising to realize that while their view is short of solid reasons for a pre-a.d. 70 composition, preterists make a heroic, but inadequate effort for their view. It appears to me that the major reason that preterists believe in an early date for Revelation is that their system requires it. All doctrine has practical implications. What are the practical implications of those who hold to the view that most, in some cases all, Bible prophecy has already been fulfilled? This is the question I want to explore now. "The overwhelming majority of the eschatological events prophesied in the Book of Revelation have already been fulfilled," declares preterist Dr. Gary North. Since subjects relating to prophecy dominate virtually every page of the New Testament (NT) this would logically mean, for the preterist, that most of the NT does not refer directly to the Church today. Since so much of the NT is written to tell believers how to live between the two comings of Christ, it makes a huge difference if one interprets Christ's coming as a past or future event. If preterism is true, then the NT refers to believers who lived during the forty-year period between the death of Christ and the destruction of Jerusalem in a.d. 70. Therefore, virtually no part of the NT applies to believers today according to preterist logic. There is no canon that applies directly to believers during the church age. Preterist advocate, Dr. Kenneth Gentry, actually believes that current history is identified as the new heavens and new earth of Revelation 21-22 and 2 Peter 3:10-13. This is a common preterist viewpoint. Dr. Gentry provides four major reasons why "the new creation begins in the first century." It stretches credulity to think of the implications of the details of such a conclusion. 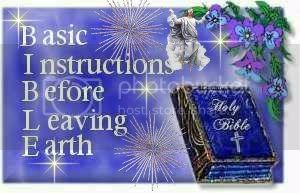 If we are currently living in any way in the New Heavens and New Earth then this means that there is no Satan (Rev. 20:10), no death, crying or pain (Rev. 21:4), no longer any unclean, nor those practicing abomination and lying (Rev. 21:27), no curse (Rev. 22:3), the presence of God the Father (Rev. 22:4), just to name a few. Amazing! I will now provide an example of how the preterist position would practically impact a believer today. Many preterists believe that passages like Titus 2:13 refer to the coming of Christ in a.d. 70. This would mean that it was a hope only for those Christians living between the time the Epistle was written and the destruction of Jerusalem a.d. 65-66. Paul says that Christ's appearance the first time impacts the lives of believers in the "present age." Titus 2:12 says, "instructing us to deny ungodliness and worldly desires and to live sensibly, righteously and godly in the present age." The grammar of the next verse (2:13) relates the activities of 2:12 to the activity of "looking for the blessed hope and the appearing of the glory of our great God and Savior, Christ Jesus." If 2:13 is a reference to a.d. 70, as preterist generally believe, then the "present age" in 2:12 would have ended when 2:13 was fulfilled. Therefore, the total admonition of 2:12 was temporary and applicable only to Christians up until a.d. 70. This would mean that the instruction "to deny ungodliness and worldly desires and to live sensibly, righteously and godly in the present age" would not directly apply to the current age, but to the past age which ended in a.d. 70 when "the appearing of the glory of our great God and Savior, Christ Jesus" occurred in the destruction of Jerusalem. Sadly, such logic would have to be the practical implication of the preterist view as applied to this passage and to most of the NT. The clear implication for preterists would be that Titus no longer relates directly to the current age in which we live. Instead, it applied for three or four years, since Paul wrote Titus around a.d. 65. There is no way that a preterist can use this or similar passages as doctrine, reproof, correction, and training in righteousness for believers, who are living in the New Heavens and New Earth. Yet, hypocritically, preterists regularly use and apply these passages in a way that practically denies their theoretical belief that Jesus returned in a.d. 70 and we are now in some form of the New Heavens and New Earth. Preterists need to develop some consistency between their theory and practice. The story of Pandora's Box is an apt illustration of how one act can have a wide, multiplying effect upon many other issues. The belief, that there "are no major eschatological discontinuities ahead of us except the conversion of the Jews (Rom. 11) and the final judgment (Rev. 20)" has a wide and great impact upon NT prophecy, especially the Epistles. It is clear that the application of the preterist interpretation virtually wipes out the direct application of the teaching of the Epistles to our current age. Just as the Law of Moses was given by God to Israel to be the focus of their dispensation, so the NT Epistles are the focus, giving vision and direction to the church during "this present age." The preterist view relating to the current work of Satan and the demons should reflect their theology on the subject. According to the preterist view, Satan is currently bound (Rev. 20:2-3) and crushed (Rom. 16:20). The enemy was not just defeated de jure (legally) at the cross, but has been crushed de facto (in fact). Therefore, the spiritual road blocks of the world and the devil have been removed and only the enemy of the flesh remains that would obstruct believers from reigning and ruling now in the New Heavens and New Earth. On the other hand, if the binding and crushing of Satan and his company is still future, then the commands in the Epistles make sense in this present age. Commands such as "resist the devil and he will flee from you" (James 4:7b). "Be of sober spirit, be on the alert. Your adversary, the devil, prowls about like a roaring lion, seeking someone to devour. But resist him, firm in your faith, knowing that the same experiences of suffering are being accomplished by your brethren who are in the world" (1 Peter 5:8-9). "Be angry, and yet do not sin; do not let the sun go down on your anger, and do not give the devil an opportunity" (Ephesians 4:26-27). "For our struggle is not against flesh and blood, but against the rulers, against the powers, against the world forces of this darkness, against the spiritual forces of wickedness in the heavenly place" (Ephesians 6:12). These are instructions which are the very tactics to be applied by the believer in this present age because we are not yet in the New Heavens and New Earth. If Satan is bound and crushed, as the preterist interpretation insists, then they are unfaithful to their understanding of Scripture to apply the above passages to the Christian life today, as they so often do. A crushed and bound enemy does not prowl, or wage war, etc. This becomes crystal clear when one realizes that Satan resumes his war with God only after he has been "released from his prison" (Revelation 20:7b). Similar thinking could, even should, be applied from the implications of preterism to many passages and subjects in the Christian life. Just think. No more suffering. If no suffering, then no need for endurance. No need for the sanctification process which involves suffering, endurance, faith and hope. No hope, because Christ returned in a.d. 70 and ushered in a new day. No apostasy of the church. No pain, suffering, or death. Therefore, since we are obviously not living under such conditions it means that preterism is also wrong. The New Heavens and New Earth is to be a time of peace and rest for God's people. The era preceding this time will be one of suffering and struggle. Again, if the preterist interpretation is correct, then the instruction of the NT Epistles on the issue of suffering only directly applied to believers until a.d. 70, because we would now be in the time of peace, not "the sufferings of this present time" spoken of by Paul (Rom. 8:18 ). Endurance of unjust suffering is a major theme in the Epistles. In fact, the NT paints it as one of the major ingredients which God brings into our life to produce Christ-like character in His children (Heb. 12:1-17). Peter notes, "For this [unjust suffering] finds favor, if for the sake of conscience toward God a man bears up under sorrows when suffering unjustly. . . . But if when you do what is right and suffer for it you patiently endure it, this finds favor with God" (1 Pet. 2:19-20). Revelation promises a future reward of co-rulership with Christ to believers who have remained faithful and loyal to Christ during this present age of humiliation (Rev. 3:21; see also 2:25-28). Revelation 3:21 not only promises future rule with Christ after this current age of humiliation, but notice it also makes a distinction between Christ's future kingdom and the Father's current rule. "He who overcomes, I will grant to him to sit down with Me on My throne, as I also overcame and sat down with My Father on His throne." These passages do not make sense and certainly would not apply to today if we are in the New Heavens and New Earth of the preterists. "If preterism is true," says Gary North, "then most of the prophesied negative sanctions in history are over" I would say, if futurism is true, then great apostasy lies ahead. Does the current church age become increasingly apostate concluding with "the Great Apostasy" during the Tribulation, or were the scores of passages speaking about apostasy fulfilled in a.d. 70, as preterism demands? "The Great Apostasy happened in the first century. We therefore have no Biblical warrant to expect increasing apostasy as history progresses; instead, we should expect the increasing Christianization of the world," declares preterist David Chilton. This is another area where large sections of the NT, especially the Epistles and Revelation, would have to be adjusted away from the meaning Christians have historically seen in those passages. An example of this is seen in how the different approaches would handle Paul's warning in 2 Timothy 3. Paul begins by saying that "in the last days difficult times will come" (3:1). The "last days" likely refers to the whole of the current Church age, or perhaps it is a general reference to the final portion of the current Church age. Either way, it is a reference to the period of time before the final phase of history which preterists say we are not in. Paul goes on to describe how these times will be characterized by men who "will be lovers of self," . . . (3:2) "rather than lovers of God" (3:4). The general course of "the last days" are described as a time when "all who desire to live godly in Christ Jesus will be persecuted. But evil men and impostors will proceed from bad to worse, deceiving and being deceived" (3:12-13). Therefore, if "the last days" have already come and gone, we should expect that the persecution of the godly should be absent and "evil men and impostors" should not "proceed from bad to worse." According to preterism, this would directly apply to the events before a.d. 70, but not after that time. Apostasy increases, not decreases, during the current church age. Because preterism is errant, then they have to take a theoretical interpretation on this and most other NT doctrine that is so far out that even the inventive minds of preterists cannot apply them in our current age. It is clear that the preterist interpretation of NT prophecy is so far removed from what the Bible teaches because it is impossible to practically apply their teaching in our current age. In answering the challenges of Preterism I want to give a brief defense of Futurism. Futurism is the view that understands prophetic events like the rapture, the tribulation, the second coming and the millennium as future to the time in which we are now living. In fact, D. H. Kromminga notes that "preterist and the futurist methods, or approaches stand at opposite extremes." Indeed they do! I believe that it can be demonstrated that futurism is the approach intended by God when He gave us His Word. The Literalist is not one who denies that figurative language, that symbols, are used in prophecy, nor does he deny that great spiritual truths are set forth therein; his position is, simply, that the prophecies are to be normally interpreted (i.e. according to the received laws of language) as any other utterances are interpreted that which is manifestly literal being regarded as literal. Preterists, on the other hand, while interpreting passages that appear to fit their scheme literally (i.e., Luke 21:20-24), overall tend to allegorize key texts (i.e., Matt. 24:29-31). Allegorization occurs when an interpreter brings into a text a meaning (based upon ideas) from outside the text. Thus, their interpretation cannot be supported from a normal reading of the words and phrases. A preterist example is seen when they make the word "coming" (i.e., Matt. 24:30; Rev. 1:7) to mean a non-physical, non-bodily event. This is done, not by demonstrating that "coming" must mean that from the context, but by importing foreign concepts from other sources into a given passage. This is not a valid form of interpretation. Further, E. W. Bullinger tells us in his book, which is the most extensive analysis of biblical figures of speech in English, that "Allegory is always stated in the past tense, and never in the future. Allegory is thus distinguished from prophecy. The allegory brings other teaching out of past events, while the prophecy tells us events that are yet to come, and means exactly what is said." Without a clear proclamation of the second advent, Christians have no common ground on which to meet the Jew; that to spiritualize this doctrine, as many do, is fatal, since the predictions are so clear of a glorious and conquering Messiah as well as a suffering Messiah. If you spiritualize the second advent, you must allow the Jew to spiritualize the first, as he is always ready to do, and you have no basis on which to reason with him. Futurism is the natural outgrowth of the consistent literal interpretation of Scripture. This is the accepted approach to hermeneutics by all orthodox interpreters, except when some come to Bible prophecy. Thus, literal or natural interpretation is a support for futurism. Deuteronomy provides a prophetic road map covering the whole of history before Israel started down the road about 3400 years ago. As the nation of Israel sat perched on the banks of the Jordan River, before she ever set one foot upon the Promised Land, the Lord gave an outline of her entire history through His mouthpiece Moses. Deuteronomy is this revelation and it is like a road map for where history is headed before the trip got underway. While different segments of the historical journey have been updated with more details being added along the way, not a single adjustment from the earlier course has ever been made. 1) Israel and her descendants would remain long in the land. 2) Israel would act corruptly and slip into idolatry. 3) Israel would be kicked out of the land. 4) The Lord will scatter them among the nations. 5) Israel would be given over to idolatry during their wanderings. 6) While dispersed among the nations, Israel would seek and find the Lord when they search for Him will all their heart. 8) "For the Lord your God is a compassionate God; He will not fail you nor destroy you nor forget the covenant with your fathers which He swore to them" (Deuteronomy 4:31). If the first five events have happened to Israel and no evangelical interpreter would deny that they have then it is clear from the text that the final events will also occur to the same people in the same way as the earlier events. This is most clear from the context. The Bible does not "change horses in midstream" so that suddenly Israel, who has received the curses, is dropped out of the picture and the church takes over and receives the blessings. Despite various systems of the theology, the Bible nowhere teaches that God has forsaken Israel (cf. Rom. 11:1). Any reader of the text will have to admit that the same identity is referred to throughout the whole of the text under examination. If it is true that the same Israel is meant throughout the text, then the last three events have yet to be fulfilled for Israel in the same historical way in which the first five events are recognized by all to have taken place. Thus, a fulfillment of the final three events in the life of Israel will have to happen in the future. This passage in Deuteronomy 4 pictures a return to the Lord after Tribulation, not judgment. This means that a futurist view of prophecy is supported from this early passage and throughout the rest of Scripture. 28:62 The time will come when Israel will be "few in number"
The final few events summarized above by Dr. Larsen certainly did not take place during the a.d. 70 destruction of Jerusalem, nor at any time in history yet past. It appears to be shaping up that while the a.d. 70 incident was indeed a prophesied event, the remaining items in Israel's prophetic roadmap have not yet been fulfilled. What is sad about the preterist interpretation is that it recognizes on the curses upon Israel, but not the future blessings that God has also promised. Preterism says that Israel gets the curses but the church gets Israel's blessings. That's not what the Bible says. And in order for the blessings for Israel to literally occur, just as the past and present curses have occurred literally, they must take place in the future. Dr. Harton concludes: "Inasmuch as Deuteronomy 28-30 is merely a restatement and amplification of this same promise in Deuteronomy 4, it may be concluded that Deuteronomy 28:15-68 will have an eschatological fulfillment." After having enumerated the relatively short list of blessings that God would bestow upon Israel in the land (Deut. 28:1-14), Moses commences to enumerate the much longer list of curses that God will inflict upon His people when they would inevitably disobey (vv. 28:15-68). The Lord would start inflicting the nation with mild curses at the inception of disobedience and gradually turn up the heat as insubordination persisted. The most severe chastisement the Lord would inflict upon His wayward people would be expulsion from their land mediated through the agency of a foreign invader (vv. 49-68). The Lord's logic is something along the line that if Israel did not want to obediently serve Him in their own land then they could go and serve other gods outside the land (vv. 47-48). Interestingly, verses 49-68 record two specific instances of removal from the Land. The first reference is clearly to the Babylonian captivity, which took place in the sixth century b.c. (vv. 49-57). For example, when verse 49 speaks of "a nation" that the Lord would bring against Israel in judgment. This is followed by a second statement of dispersion (v. 64) which says, "Moreover, the Lord will scatter you among all peoples, from one end of the earth to the other end of the earth." This was undoubtedly fulfilled by the Romans when they destroyed Jerusalem in a.d. 70. Luke 21:24, which speaks of the a.d. 70 destruction of Jerusalem, says that the Jewish people "will be led captive into all the nations;" a statement which reflects the language of Deuteronomy 28:64. Thus, we see two different instances of the judgment of God's covenantal curse being worked out in history. But neither of them means that predictions of all future prophecy have already been fulfilled. We have seen thus far, from our prophetic road map, that Deuteronomy 28 has predicted two different instances when the ultimate covenant curse of expulsion from the land will be applied to national Israel. However, we have also noted that Deuteronomy 28-30 indicates that some future events will come after Israel has been regathered back into the land and Jerusalem; then God will bring to pass the tribulation. Thus, since the second covenantal dispersion in a.d. 70 by the Romans led to Israel's scattering among the nations, then that could not have been the tribulation which is to take place after a regathering. This would make the tribulation and other prophesied events to still be future eschatological events. If we could take the time to study the rest of the Old Testament we would find that it is an expansion, consistent with the early prophetic roadmap, of God's prophetic plan. Dozens of passages predict a glorious future for Israel. If these texts are taken literally and historically then they have to have a future fulfillment. Jesus, in the Olivet Discourse and in the Revelation, in concert with the Old Testament, also expands upon, but is consistent with, that prophetic roadmap begun in Deuteronomy. Our Lord predicts a literal and thus future time of glory and blessing for Israel. Unless one just arbitrarily imports the theology of the church replacing Israel into many key texts, it is clear that hundreds of prophecies still speak of a literal and thus future fulfillment. I think it becomes clear that futurism is the only approach that makes sense of the Bible and its prophecies. While the Bible speaks of a wonderful past, we cannot hide the fact that the best is yet to come! Like many of the arguments presented by preterists, they appear to have some initial merit when looked at by the biblically uneducated, but upon closer examination prove to be without merit. Preterists falsely built upon the misguided assumption, that they attempt to "prove" from various prooftexts, that Bible prophecy had to have its fulfillment within about 40 years of Christ's first advent. There are many implications, both theological and practical, that would require a major adjustment to the Christian faith if they are right. Since their arguments are incorrect, so are the implications that flow from such thought. Because of the recent spread of Preterism, pastors and teachers need to be prepared to defend orthodox eschatology from this attack. Those who believe that Christ came in a.d. 70 will certainly not be found looking for our Lord's any-moment return when He does rapture the church without any signs or warning before this blessed event. Are we looking back at the past or forward to the future? Maranatha! (My Note: Why is Preterism such a DANGEROUS FALSE DOCTRINE? First, it denies Promises made by GOD to Israel and denies GOD'S intent to keep those promises. Second, it denies Promises made by GOD to the CHURCH WHICH IS THE BODY OF CHRIST and denies GOD'S intent to keep those promises. In other words, Preterism calls GOD a liar on multiple counts. Further, it denies and dismisses GOD'S Plan of Salvation for all but JUST LESS THAN 40 years after the Crucifixion of JESUS CHRIST on the CROSS. After all, the Second Coming of Christ and all other Prophetic Events are long since over and done with, including the Age of Grace. Further, it denies and dismisses GOD'S judgments for the Devil and Evil men since the time for the Great White Throne Judgment is also long since past. Preterists would have us believe that the Devil is already locked away or in the Lake of Fire, but this is OBVIOUSLY NOT SO! In short, Preterism makes a mockery out of GOD and most of the Holy Bible, so it isn't just a small error of little consequence. There has MOST OBVIOUSLY NOT been an end to evil, suffering, and tears. Preterism removes the hope for Christians because the time of RESCUE is long since past, but NONE of GOD'S Promises were kept to the CHURCH or to Israel. In conclusion, Preterism does NOT resemble the teachings of the Holy Bible, and it denies nearly all of the fundamentals of Christianity. So, Preterism is a DANGEROUS, EVIL, AND FALSE DOCTRINE that must be ignored and labeled for what it is - FALSE TEACHING! Amen, brother. An excellent study that shows the truth and exposes some very dangerous misconceptions in a dangerous false teaching. WASH—Nov 4—KIN-- Both presidential candidates, most likely prompted by their pollsters, said they would bring “change” to America. Its too late for them to be original. America already has changed. Since the passage of Lyndon Johnson’s “great society”, and probably Franklin Roosevelt’s “New Deal” before that, America has changed in fundamental ways of which the Founding Fathers would never have approved. The concept of the welfare state, abortion on demand, the challenging in courts of using references to God in the public square and the onslaught of social approval of homosexuality have all shaped and formed a new America, quite different from the one created by God through obedient men of God. But in the past eight years, change in America has accelerated beyond imagination. Under the Bush Administration agreements have been made to turn the United States into part of a North American Union with Mexico and Canada. The goal of this “Security and Prosperity Partnership” according to the Council on Foreign Relations is one security border with shared tariffs—that means a one nation-state between Mexico, Canada and America with common taxes. In addition, President Bush signed an agreement with the European Union to merge many aspects of our economies. The Bush Administration has done many things to change America by reshaping her into part of a one world order. In addition, the Bush Administration has led the charge for a Palestinian state in Israel. No other president dared to suggest that Jerusalem be split between Israel and terrorists until the Bush Administration came along. Now Secretary of State Condoleezza Rice is working overtime to establish such a terrorist state beside Israel and she is applying every bit of political force to divide the Holy City of Jerusalem between the Israelis and the terrorists. The Bush Administration has also tried to legitimize terrorist states and Islamic states with terrorist ties by making them democracies—Iraq, Afghanistan, Gaza, Kosovo, Pakistan—or selling them high-powered US weapons—Saudi Arabia, Egypt, Jordan, Kuwait and more. So Americans have seen a lot of recent change. The most of which came in just the past few weeks when the Federal government was given the authority over private property and bank accounts with the bail out legislation. These are all key areas that change America from a leader of religious freedom and justice around the world to a significant player as part of the one world order. In the absence of change in a different direction, America may have been the last stronghold of Christianity that resisted the prophetic roadmap of the anti-Christ. Revelation 13:7 says, “And it was given unto him to make war with the saints, and to overcome them: and power was given him over all kindreds, and tongues, and nations.” Change is in the air. I've been feeling all week that Obama has been groomed for this, groomed his entire life with the presidency in mind. Of course that is just paranoia on my part............. right?? Brother, I don't think that either one of us believes in chance. YES, I think that what has happened is exactly what is supposed to happen. I firmly believe that we are watching GOD'S Will for the times being ushered in. GOD'S Will be done, and I know that it WILL BE! Isaiah 2:19-22 NASB Men will go into caves of the rocks And into holes of the ground Before the terror of the LORD And the splendor of His majesty, When He arises to make the earth tremble. In that day men will cast away to the moles and the bats Their idols of silver and their idols of gold, Which they made for themselves to worship, In order to go into the caverns of the rocks and the clefts of the cliffs Before the terror of the LORD and the splendor of His majesty, When He arises to make the earth tremble. Stop regarding man, whose breath of life is in his nostrils; For why should he be esteemed? Love, Hugs, and a Spoonfull of Spirit! The author of this post is John West and I am called the Comforter subsequently for over 30 years. Would you know the Truth if it jumped up and posted in this forum? Scripture and the data thus far say no! Ancient and Honourable, John West. The Comforter has not come to prepare the way anywhere in the past. I John saw New Jerusalem - where is this in history. Judgment is yet to be. I could go on for days but it would not change the fact that anyone who desires to believe these things have passed should be left to their own demise. Maybe you should have read more than the first sentence. Are you saying that you're a preterist? If so, I'll bluntly state that you believe in false doctrine. If you're not a preterist, you would have easily understood the material had you bothered to read it. I understand material even without scanning and my comments are true and correct. As we seek the Truth and those things said to be contained within Scripture as "hidden" and "to be revealed" at the time appointed, what service to God and the Truth are we if our fruit is unsavory. What shame to stand before the Lord un-knowing and to correct him. What fear to lead the righteous down the wrong path all the while in belief strongly that we have discerned correctly and do well. Is the outcome not the same? Have we not even by accident proclaimed false doctrine and done Heaven a dis-service? It is written that at the time appointed the Lord shall send one to testify of Him "because" not one knows the Truth. No not one. Therefore and simply, to proclaim to know and to reach great lengths to describe and to show ones knowledge of Scripture and it's place within the last days is futile. One and all have been instructed to seek and find but only one has been promised to hold the Truth and to bear record at the time appointed. Being familiar with Scripture as you must be to rightly proclaim it's content and meaning you must recognize the very sayings contained within this message and declare them truth. To deny that mankind has been proclaimed un-knowing in the last days and that one shall be sent to prepare the way for the Lord's return with certain items and Revelations is false doctrine. But even worse. To riddle the playing field with such rhetoric and mass data to be deciphered that it would cause the seeker to be bogged down and never reach the goal intended, this too is unsavory. Why marvel ye at these things? And yet as the Truth unfolds before you to be focused elsewhere is where the fear should lie. I fear knowing the lonely and unrecognized Lord at His coming and not the Coming itself! Love, Hugs and a Spoonful of Spirit. You appear to be full of yourself, especially after scanning part of your website. I could care less what you think that you have to reveal - I'll take the Holy Bible - God's Word. If you are proclaiming to be some sort of prophet, I don't buy it. I don't buy your other claims either. Further, I consider your use of the user name "TheComforter" to be near blasphemy - you aren't Him. Baloney! Surely you aren't claiming to be God - are you? You aren't Him, and you shouldn't hint at that claim. God's Word is the Revelation - NOT anything you have to say. I think in Some way yes Prophecy is being I am referring to vereses of Joel 2 28 and a lot Acts 2. Another sad thing I am seeing to much of is evil ministers. I forget what TV show it was but I heard this Sunday there was a meeting on June 26 this yr between Christians and Islam to try to become one never ever going to Bible says so, Our President has promised West Palestine Muslems that they will have Jerusalem some day. Finally some so called Christian Minister and have churches have taken down the Cross to appease Islam and other religion. Doesn't it make you Sick!!? Yes, many of the things happening today make me sick. I think there are signs around the world that the time of the Tribulation Period is drawing near. Surely, this evil and chaotic world is ripe. It is some that claim to be Christians that are trying to placate muslims and in so doing they are compromising the word of God. This new movement is called Chrislam. Besides compromising the word of God these people will soon find out that muslims will not compromise there beliefs in any manner and will be making demands that they convert to islam completely.